I was having a conversation with my sister, Shelley about my journey with mental illness. I’m not going to lie and say it was a pleasant discussion-it was tenuous. Why? 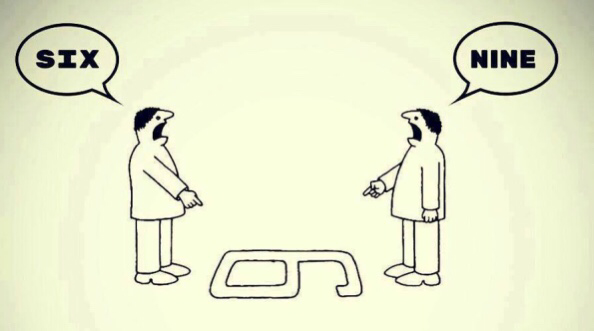 Because neither one of us were appreciating our different perspectives. I understood. I have sat in the chair as a family member-my mother and another sister have bipolar disorder. It was a long and arduous journey until they found wellness, until they recovered. But when I look at them I don’t see bipolar disorder, I see a person. I see a family member. I forget about all the times it was difficult. Family members who don’t have a mental illness have a right to their perspective. But the problem arises when policy decisions and laws are made for people with mental illness without our perspective too. Problems arise when we are blamed for our mental illness. I also realized how much I had moved forward and let go of the past. But the conversation we had brought back all the memories and flooded my brain with difficult times, struggles and nearly insurmountable challenges. I was taken back by all I had to process. Then, I began to think about others who haven’t spent every waking moment reading and advocating for mental illness. It has provided me with an avenue of healing. In my mind I’m no longer the distraught bipolar victim-I am a strong mental health advocate. I challenged my sister to speak up for mental health and bring another family perspective into the light. I realized all perspectives are important. I try to understand the pain and sorrow family members feel when remembering what we went through. But tomorrow is here. I am alive and well. And so are my family members. What we do with our knowledge and wisdom, time and talents to help other people will not take away the pain of old memories, but will make us stronger in how we deal with them. Giving a gift of understanding to each other is the first step in the process. Next postRemember – Mental Illness is The Enemy! Sounds very much like dynamics in a family where there is addiction. Everyone suffering in their own shades of confusion and each needing to travel their own path to healing. I believe there are many similarities Alice. “Giving a gift of understanding to each other is the first step in the process”. Sadly Amy dearest, not many want this gift. Amy…wonderfully written! I truly enjoyed this from two different sides. One coming from a BP sufferer that struggled to find anyone to understand for years and trying to make up for the past. Educating and explaining to anyone that would listen. I still fight day to day and may never be perfectly stable. But what I learned is you just have to accept some family and friends will come around and some just will never make the effort to comprehend the disorder. I have come to accept this and am thankful for all the support I do have. I have been able to move beyond the past and now concentrate on the present. Doesn’t make anything any easier…but it certainly helps. TY this was a pleasure reading. Thank you so much for your comments. Way to keep up the good fight. Stay strong!